Coming of age can be hard for anyone. Coming of age can be hard for anyone. But for Blackmon Perry Stone it is life threatening. At 15, he barely manages to graduate from the empire's cadet training by a talent for unusual problem solving. 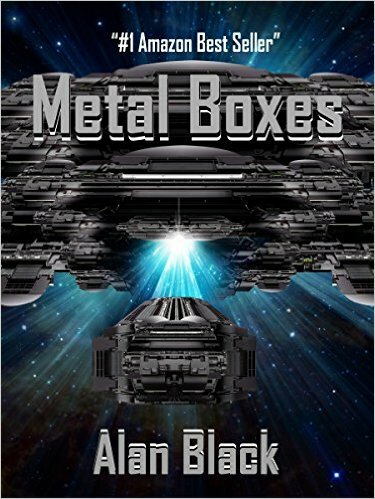 He has trouble settling into navy life, but life becomes harder when he uncovers a ring of thieves aboard the huge ship. Life becomes difficult when they killed him. Stone is ejected into hyperspace in an escape pod without hyperspace engines. Fully expecting to die, he reconfigures the sub-light engine to escape the inescapable. To his surprise it works, but only well enough to do little more than crash on an uncharted planet. It will surprise him if he can make the engine work again, but not as much as it will surprise everyone else if he can come back from the dead. 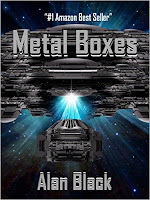 The sequel to #1 best selling science fiction novel Metal Boxes. Blackmon Perry Stone hasn't gotten over his fear of being outside and he still hasn't settled into life in the Empire's Navy. After months of legal wrangling over his last assignment, he has been given a new assignment. He was looking forward to getting an new posting on a spaceship or a station. The problem is that his new job is on a planet. 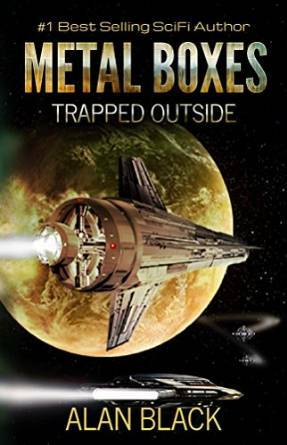 Worse, once there, the base is overrun by the enemy aliens and now Stone is trapped outside on a hostile planet, injured, and hunted by aliens bent of killing him. 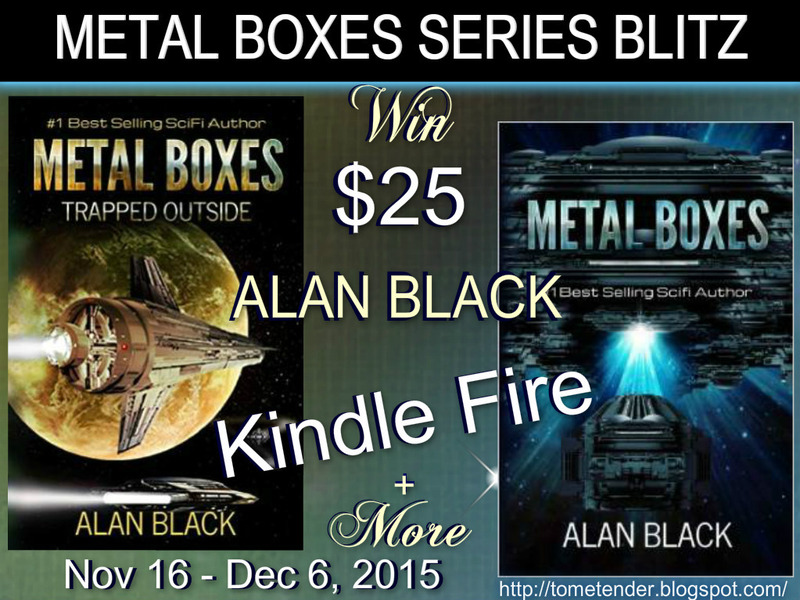 What IS a Metal Box? WHY are they so important to these stories? Alan Black is a multi-genre author who writes for young adults on up. He's never met a good story he didn't want to tell. I have been writing novels since 1997 when I started ‘Eye on The Prize’. My writing tastes are as eclectic as my reading preferences. I admit that I love writing much more than editing and the whole publishing process. Marketing of my novels leaves me as baffled as the whole string theory thing. I was born in central Kansas, but grew up in Gladstone, Missouri, graduating from Oak Park Senior High School and eventually earning a degree from Longview Community College. I spent most of my adult life in the Kansas City area (with the exception of a few years in the U.S. Air Force), but my wife and I now live in sunny Arizona. The dry desert air stimulates my creativity more than the juicy air in Missouri (pronounced here as ‘misery’). I am pretty sure my desire to write started in the second grade. I was given an assignment to write a short story about Greek mythology. My teacher took the time to call my parents. Although neither Dad or Mom remember the incident, it had an impact on me eventually leading me to finally write (and most importantly finish) my first manuscript. It took two years to complete ‘Eye on The Prize’. I have gotten faster since then, completing the last manuscript in three weeks. 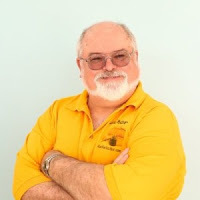 One thing Alan LOVES to do is Connect with Readers Online and at Book Signings! Check his website for upcoming events ~ Chat him up at any of his links! "What we think in our hearts is the very essence of who we are and what we will become." 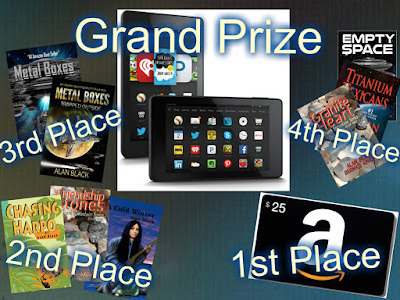 Fourth Prize (two winners)(Intl) – E-version of any of my books.